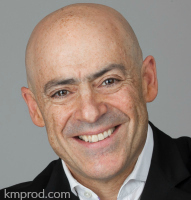 Patrick’s ability to deliver a high energy message with passion and humour challenges people to take initiative, step out of their comfort zone, and dare to do things they never thought possible to achieve real and long-lasting results. In 2002, Patrick became the first person in Quebec to have earned the “Certified Speaking Professional” designation. This designation is the highest designation given by the International Federation for Professional Speakers. In Canada, the United States, Europe, and the Middle East, he has given more than 1,650 presentations to over 250,000 people. In 2015 Patrick was the inductee to the Canadian Speaking Hall of Fame. The Hall of Fame recognizes speakers both for their excellence as professional speakers and for their contribution to the profession. 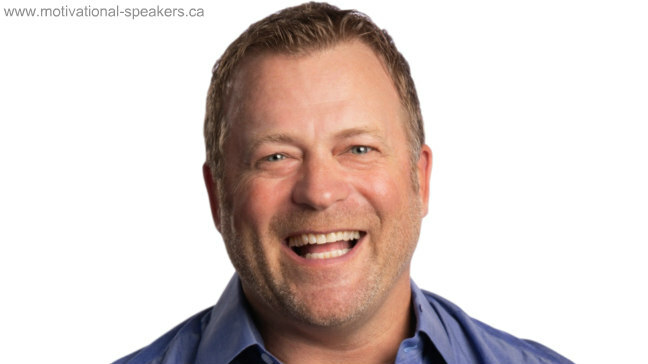 Patrick Leroux becomes the 30th inductee into the Hall of Fame which was established to recognize outstanding excellence as a professional speaker and dedication to the professional speaking industry by educating others to excel. Strategies to turn satisfied customers into loyal customers. Growing your business, is YOUR business! Strategies to attract new business and make your income grow. In this highly stimulating session, you will learn a series of practical, proven strategies that you will be able to adopt in order to make your sales explode and get ahead of your competitors who undercut you. How persuade and influence people faster and easier. The 4 personality styles: Are you red, a yellow, a green or a blue? 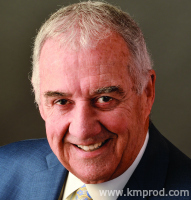 Patrick Leroux is represented by K&M Productions for speaking engagements. For more information and booking Patrick Leroux, simply contact us. Our conference was a great success largely due to your participation as our main speaker. Your session, with a provision of both French and English components, was energizing, motivating, entertaining, very informative, very dynamic and excellent!!! It was a pleasure working with you. You sure made things easy for us, and we really appreciated it. Thank you for helping to make our conference a success. Thank you for a fantastic job speaking to our OK Tire delegates in Cancun! The group feedback was excellent - you left our group feeling inspired and motivated! From all accounts, they were thoroughly engaged by your dynamic personality and your knowledge level. You came through for us by delivering a vital message that was highly relevant and significant! Patrick Leroux is a sensational motivational speaker. His presentation to Canadian Food Inspection Agency staff in May evoked incredible emotion and passion in all participants. His insurance that all participants commit to action further reinforces the action orientation of his presentation. This speech will force you to reflect on your career and your life and will `Ignite the Fire Within` in order to make positive change. The energy and quality of Patrick Leroux's presentation is a clear rival for the likes of Anthony Robbins. Thank you Patrick for delivering an incredible seminar and helping all participants ignite their inner fire! Your solid business messages coupled with your passion made our event a huge success. With a rating of 4.7 out of 5 by conference attendees, we know that your sessions delivered an excellent return for Bio-Lab Canada. Thank you for your kindness and knowledge that you gave us in Tehran Iran. I have totally changed my life and I am implementing all your instruction which you gave me at the conference in Tehran and I feel that I am getting huge results and my family also are feeling these changes on me. Many thanks, my friend and I really I hope I could see you again.